The preaching of Bro. Eli Soriano has started to reach the people in India. The program Ang Dating Daan or The Old Path has been broadcast only for more than a month yet the response from the audience is positively overwhelming. In its initial period of its broadcasting, Ang Dating Daan was well received in India and other countries. The requests for indoctrination are significantly numerous to consider from the Indian listeners. 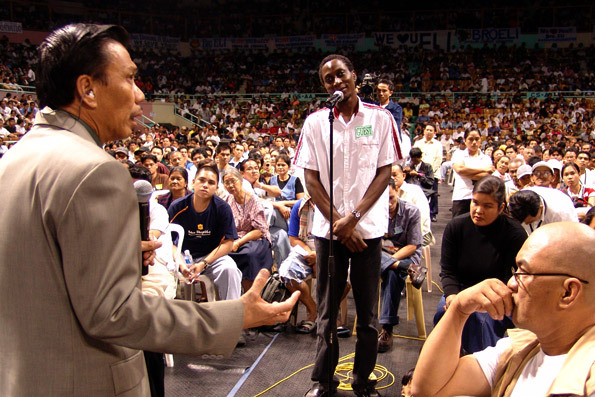 In affiliating with the Members Church of God International (MCGI), the church that Bro. Eli is leading, the process begins with indoctrination. India is known for having many gods and native religious beliefs. This moved the Ang Dating Daan preacher to introduce biblical knowledge that the people of India entitled to know. India is a country that deals with its own economic struggle and concerns on population growth. In the doctrine of the MCGI, even a single soul, regardless of the status in society, is worth the effort in spending time and resources for propagation. Aside from India, Ang Dating Daan or The Old Path program has also recently started its TV broadcast in Uruguay. Prior to these countries, The Old Path is broadcasting in some parts of South America and North America since 2008. The broadcasts and series of Bible Expositions abroad had already reaped numerous citizens of the respective continents. Bro. Eli has been broadcasting in live stream through Livestream.com that is also linked with his website Truthcaster.Com. This webcast is held every Thursday morning and Sunday morning in Eastern Standard Time. MCGI has gathered many awards in the past years in various categories. Recently, MCGI earned recognition from UNTV as an “outstanding public service partner” during UNTV’s 6th anniversary on July 18, 2010. MCGI is known to be a major partner of UNTV for carrying the public service endeavors and charitable projects of UNTV, such as free medical and legal services, transient homes, free bus, jeepneys, and MRT rides. MCGI’s flagship program, Ang Dating Daan, will be celebrating its 30th year this 2010 through its current home station, UNTV.